The Social Security programs easily remain a beacon of hope and promise to elder Americans who rely on financial assistance from the government in the event of a disability or for stability during retirement. However, funding for these programs is in danger of being depleted as fewer workers’ taxes are supporting the funding for older Americans’ monthly benefits. Paul’s plan is to extend the retirement age so that Americans will be required to work longer before taking retirement benefits. In addition, wealthier Americans would be eligible for fewer government disability and retirement benefits. If you wish to gain legal assistance when it comes to filing for Social Security disability benefits in Indianapolis, get in touch with our attorneys at The Hankey Law Firm by calling our offices today at (317) 634-8565 or (800) 520-3633. Our legal team can help you understand the complex rules associated with Social Security programs. Fifty-year-old Florida resident and Social Security Administration claims representative Maria Sanchez was sentenced to four months in prison followed by four months of house arrest on Wednesday, November 25 by United States District Judge William Dimitrouleas for allegedly accepting bribes from select Social Security benefit applicants to speed up their application process. Earlier this year, Sanchez confessed that she took between $13,000 and $15,000 in illegal payments during the years 2008 to 2011 in exchange for illegally moving the applicants who paid her to the top of the application process list. Investigators said Sanchez usually received a green folder that contained five to six Social Security benefit applications and a separate white envelope that contained $500 in $100 bills, and that this folder was dropped off at her office or handed over in a Hollywood parking lot. At the Hankey Law Office, our legal team of Social Security disability attorneys can help you through the complex processes of applying for or appealing SSD benefits. To speak to a member of our team, call us today at (800) 520-3633. According to Social Security Administration spokesman B.J. Jarrett, if you opt to work even after you have reached your full retirement age, your Social Security benefits will remain as they are and you will receive no reductions in the total amount that you will receive, no matter how much money you earn, USA Today reported on January 21. Jarrett clarified that for instance, should the number of years that you have worked before your full retirement age does not constitute the total 35 years minimum needed to qualify for Social Security retirement benefits, you can use the years you work after your retirement age of 66 to add to the total number of your working years. The only time that your Social Security benefits can be reduced is if you begin receiving retirement benefits before you reach your full retirement age, Jarrett noted. 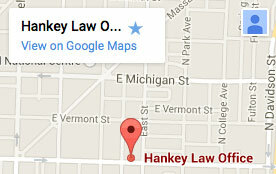 Have our attorneys at the Hankey Law Office in Indianapolis protect your legal rights and assist you in filing for Social Security disability benefits by calling us at our offices when you dial (317) 634-8565. Despite most experts urging Americans to wait as long as possible, or at least wait until retirement age, before collecting Social Security benefits, the advice may not be right for everyone. You may want to consider collecting early if you are in poor health and do not expect to live well into your 70s or 80s. While you’ll have a small penalty for collecting Social Security early, it may be worth it to make your life comfortable now. Similarly, if you need the money now to make ends meet, taking Social Security could be the best option for you. Most people eligible for Social Security start collecting before retirement age. On the other hand, if you believe you’re highly skilled in finance, it could be beneficial to take out Social Security and invest it yourself. However, if you’re still working or have other income coming in, your benefits could be subjected to income taxes. To learn more about early retirement and Social Security, contact the Social Security lawyers of the Hankey Law Office, P.C. at (317) 634-8565. Retiring at 70 is probably an unsettling idea for many, but new data by the National Retirement Risk Index shows that most individuals who retire at age 65 are taking a large financial risk. However, 86 percent of working Americans who wait until age 70 to retire are better prepared to care for themselves financially. About 21 million retired workers rely on Social Security benefits as their main form of income, and the earlier you receive benefits the less you are likely to get in the long run. Someone who takes Social Security at 70 could have a 75 percent larger benefit base than if the same person took retirement benefits at 62. Many factors determine your monthly Social Security benefits, such as health history and marriage, and waiting does not always mean more money. If you are about to retire and want to learn more about your Social Security options, contact the Hankey Law Office, P.C. by calling (317) 634-8565. May has been named Disability Insurance Awareness Month in order to spread awareness of the importance of planning for your future. According to the Social Security Administration, about a third of all Americans will need disability insurance before they retire. While many may be covered or believe they will be covered through workers’ compensation, employer insurance, or Social Security, these options are not foolproof. Nearly half of all initial SSDI claims are denied, and 73 percent of accidents or illnesses that cause disabilities are not work-related. Before you rely on Social Security to take care of you in the case of a debilitating accident, make sure to explore your options and determine what is the best for you and your family. If you have suffered an injury that has affected your ability to work, contact the Social Security attorneys of the Hankey Law Office by calling (317) 634-8565. According to a new report by the National Law Center on Homelessness & Poverty, the difficult process of proving disability has prevented thousands of homeless people from getting off the streets. The study claims that about 40 percent of homeless people are eligible for Social Security Disability Insurance, but only 14 percent actually receive the benefits. A major barrier preventing them from receiving financial help is the strict regulations as to who is allowed to provide a diagnosis. Only a doctor’s diagnosis can be used to apply for disability, but most health clinics for the homeless are staffed by physician’s assistants and nurse practitioners. The report suggests that allowing more health care professionals to diagnose medical conditions for disability applications can reduce homelessness. If you need helping learning how to apply for Social Security disability benefits, contact the Social Security attorneys of the Hankey Law Office at (317) 634-8565.